Coolpad Cool Play 6 is yet another beast device from the company -CoolPad-. This phone boasts of a 6GB RAM + 64GB inbuilt memory, Dual 13MP rear cameras with dual led flash + 8MP front facing camera. 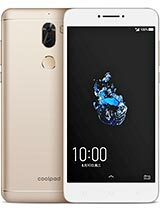 The Coolpad Cool Play 6 spots a 5.5 inches IPS LCD touchscreen, 4G LTE enabled, fingerprint sensor which is located at the back. There's also a non-removable 4060 mAh battery capacity to keep the phone alive. Coolpad Cool Play 6 is exclusively for the Indians and will be available in the Indian market coming September 4th 2017. See the full specifications and price in India below. Cool pad is coming up, Good RAM, I hope too cost when it gets to Nigeria. I think i replied you. You can use tweakware over Wi-Fi. I've used it before and it worked fine. Phone with good specifications, this device is OK. This company Sabi drop 4g even on small phone. I go see their phones around and it's a bit rugged. So I think this will be nice overall. The battery is a 10/10 for me.